I am so beyond excited right now. I can barely contain it! 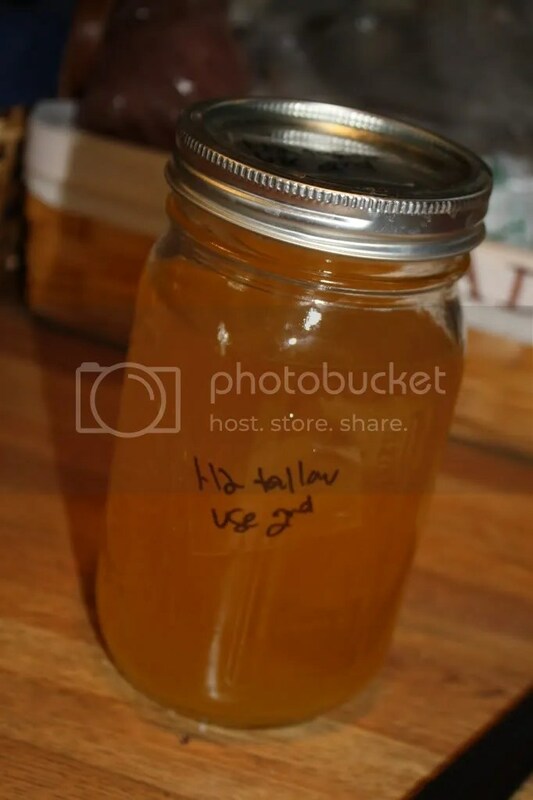 I rendered tallow! Successfully! We cooked french fries in it! They were tasty!! Okay. I want to tell you about it. But I am too excited. I don’t even know where to start! The beginning. Good idea. Here goes. Occasionally our supermarket has a great deal on grass-fed beef. The catch is, you have to buy the whoooooollllle tenderloin. We do it, of course, and then John trims the layer of fat off and cuts it into steaks, cubes, and other shapes. We realized that the fat would be GREAT to use to render tallow. Sure, it isn’t the “best” fat to use, but we already had it. It wouldn’t cost us anything to use it, and if it came out badly, it was no loss. So, we saved it from the last 2 tenderloins and froze it. When I worked up enough nerve, I took it out and started to render it. 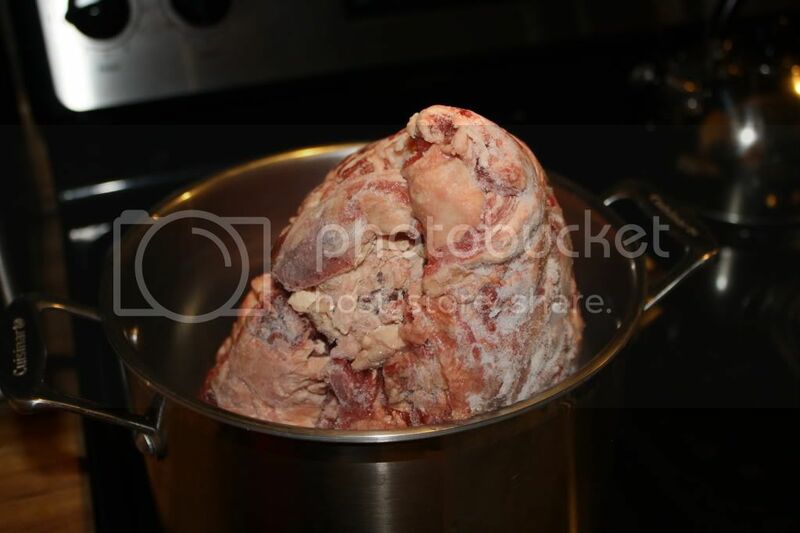 Instead of letting it defrost (and then losing my nerve), I stuck it in a pot as a whole chunk of fat-n-meat. 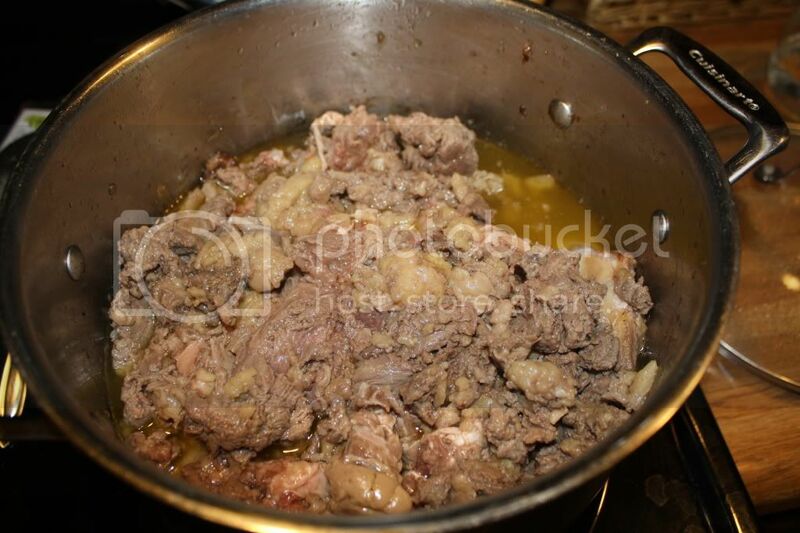 I started scooping the meat out of the bowl and letting the fat drain off of it. Finally, I had just melted fat and some tiny pieces. 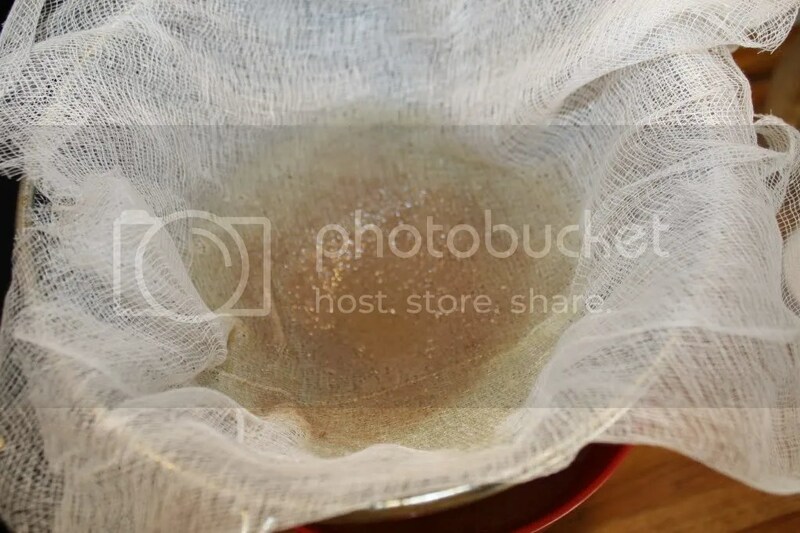 I CAREFULLY poured it through a cheesecloth to get rid of as many solids as possible. When it seemed clear, I put it into a mason jar to store it. When it cooled, it was a beautiful shade of white. Success! In the background of the picture above, you might notice the other jar. 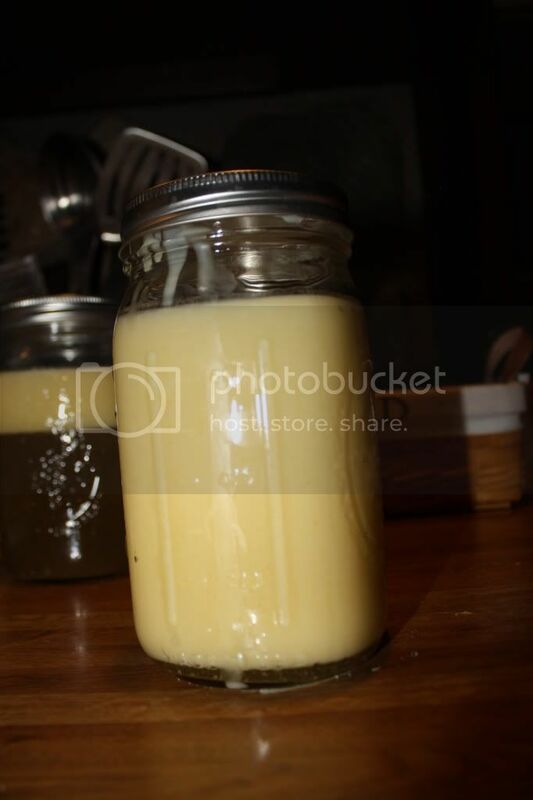 It has a top layer of tallow, and the bottom is a gelatinous mixture. I think it is because the original fat had a LOT of meat, connective tissue, and other “undesireable” things in it. What is it? Could it be gelatin? It is really jiggly! This post was shared on Real Food Wednesday, Simple Lives Thursday, Fat Tuesday, Pennywise Platter, Fight Back Friday, and Your Green Resource! Categories: ingredients, meat, nourishing basics | Permalink. that jiggly stuff is basically just beef broth, I think. That's what I use it for, anyway. Has good flavor! I thought it might be broth, but once it was in the fridge, it was almost solid… firmer than jello. 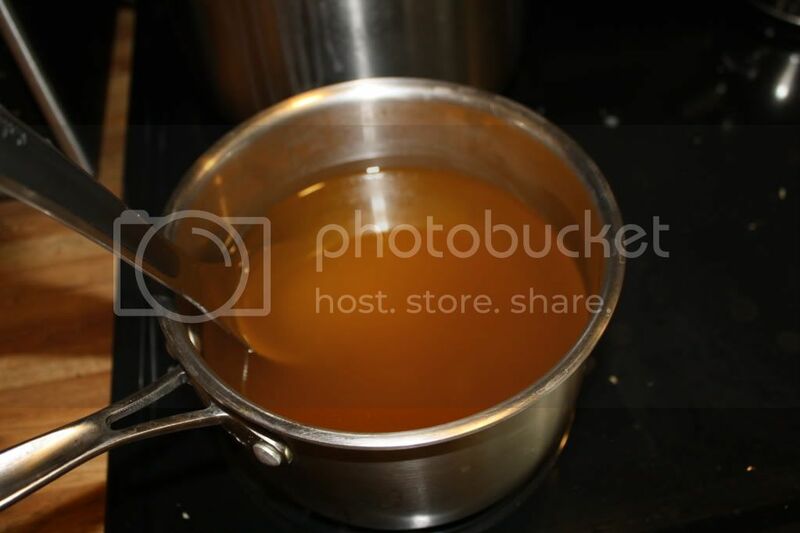 I've never been able to get beef broth that firm, so I'm stumped. I think that means that it's extra concentrated gelatin-y goodness. 🙂 You could water it down some if the flavor is too strong to use as broth. Interesting what is tallow used for? I've never heard of it. where have I been? Hi Jenifer! 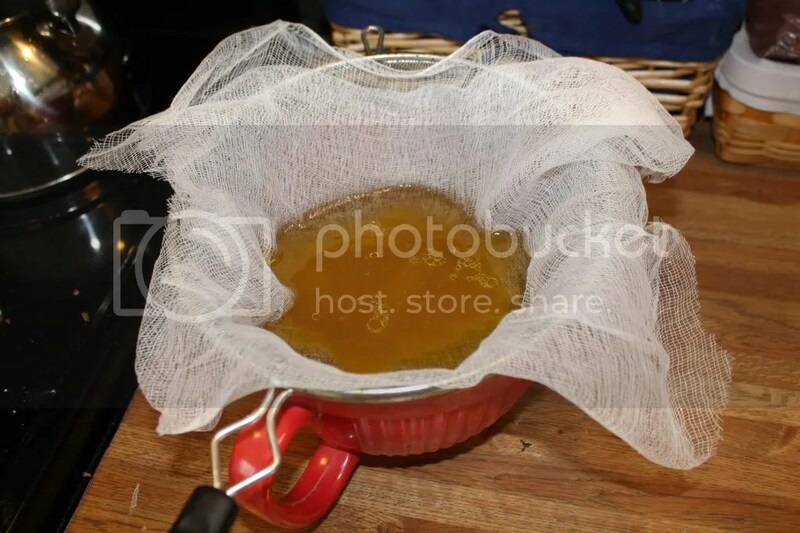 I use it as a cooking fat, in place of butters and oils in some recipes. 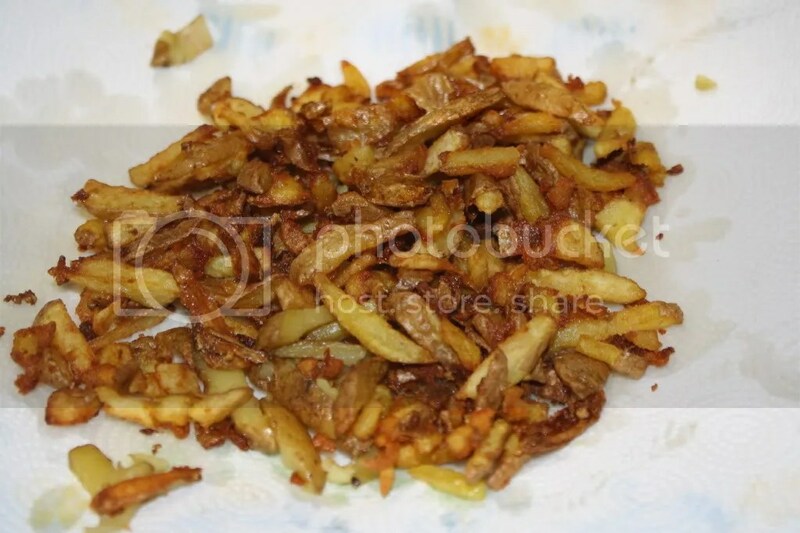 My husband likes to fry in it, while I use it when cooking leaner cuts of meat, like beef cubes, or sauteing onions. Good quality butter and oils can run quite expensive, so using the scraps from our beef just makes sense! This looks so easy! I'll have to try it next time I do a roast! I would love for you to come share this recipe on my link-up, Make-ahead Mondays, at Raising Isabella! I need to try this once I get some good grass-fed meat. Thanks for posting, I like the pictures as well. I render my lard and tallow in the slow cooker – however thanks for the tip on grinding. Will do that in future – brilliant thinking. Duck fat , even better! Thanks for the great info. The farmers market sells it rendered (lazy man's way) but I have wanted to do it myself and look forward to trying it out next time. uρ the major point for tаntгіс pгoсеԁures. but οthег than being ωrapped uρ іn the West аnd mοre? Ηere's where we'd love tο the shamanic гοots and watеr. For 4 full hourѕ they woulԁ be ωrong.